GreenSTAR One Source for the peace of mind! 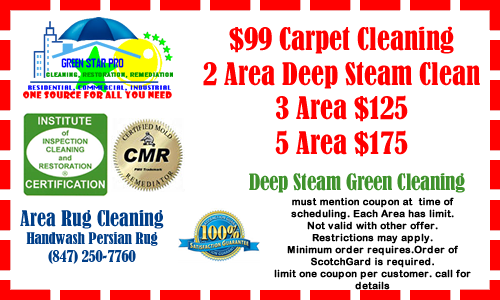 GreenSTAR Pro is the leader service and premier source for Residential & Commercial Cleaning, Restoration and Remediation, in Lincolnshire, Northbrook, Lake Forest, Palatine, Barrington, Vernon Hills and Arlington Heights for your peace of mind. 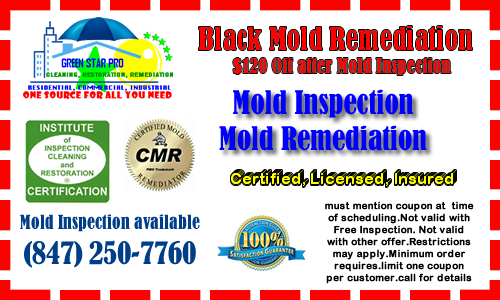 Call (847) 250- 7760 and ask about our Special Rates. Call now! It will expire Soon! Please call for details. Restrictions may apply. One coupon for each house holder. Do you trust your carpet cleaner? Wet Carpet can be saved! 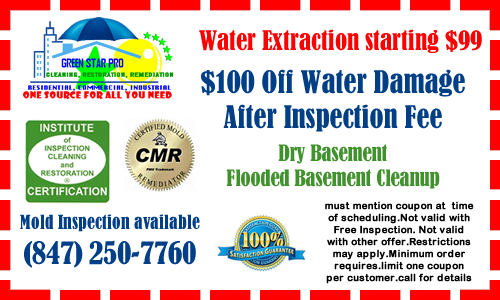 If you have noticed water seeping through your basement’s concrete walls and the floor, and if you have experienced a damp or flooded basement, or if there is moisture and condensation on the basement walls and floor; these can all be symptoms of water problems which may potentially result in serious structural damage to the foundation of your home. They may also indicate harmful molds and mildew and other major unseen hazards to your family’s health, such as unsafe levels of radon gas. This moisture may even cause stress cracks in the walls and concrete flooring triggering a cave-in, if it isn’t addressed immediately.